Dr. Dre, Method Man, Wale, Eric Bellinger, Kid Ink feat Chris Brown and more. This show was 41st in the global rnb/hip hop chart, 71st in the global rap chart and 75th in the global hip-hop/rap chart. 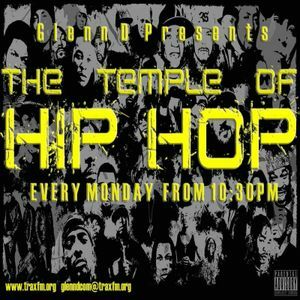 Catch The Temple Of Hip Hop On Trax FM! Glenn-D Is Live Every Monday Night From 10:30 PM UK Time.